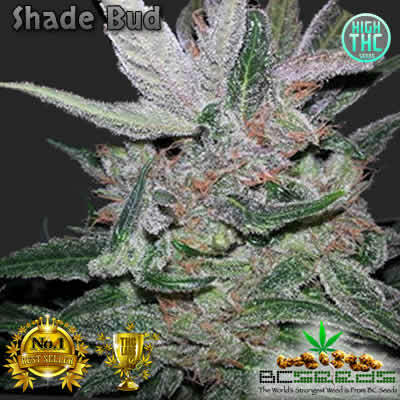 Shade Bud are seeds created from plants grown in very low light. 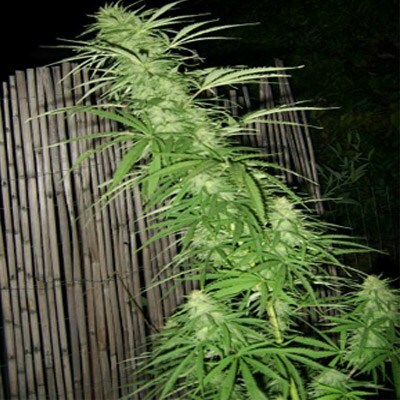 Perfect for growing marijuana between two buildings, like your shed and your garage and house. She does flower early, and times to vary because everyone growing her has different amounts of shade. If you have a typical house and shed that gets reflective light and you have decent soil you should expect them to finish by late August or early September. Terrible conditions will see a mix of flowering times, sometimes shorter and sometime longer. 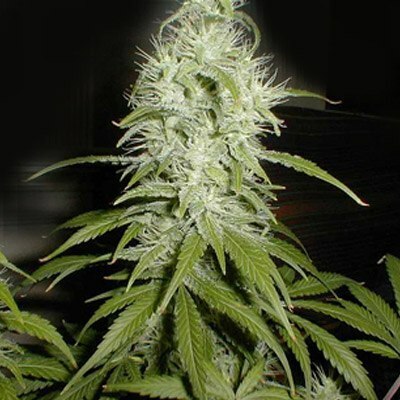 The strain’s flowering times cannot be stablized very well, but it will grow in low light and should be the frost. Categories: Cannabis Seeds, BC Seeds, Low Light. 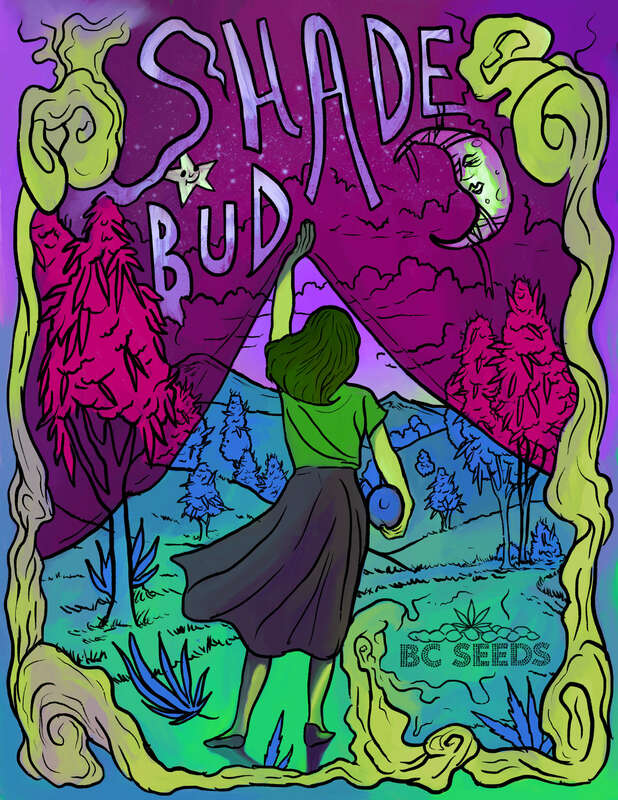 Tags: Low Light Cannabis Seed, Shade Bud. 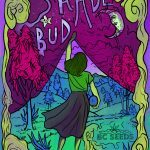 Shade Bud is amazing for those that want to grow you medicine in between two buildings. A great place to plant her is between your shed and garage. 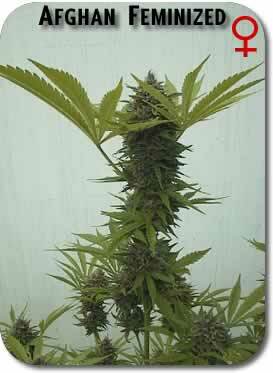 She’ll grow massive buds with only a small availabilty of light. These seeds have been painstakingly produced. We’ve used our most light deprived Northern most genetics. She’s been growing on the North side of the mountain, with tall pines growing behind her to the South allowing almost no light. It took us 11 years to get this small patch of low light marijuana to produce seeds that have the low light genetics passed down. These plants grow strong in very little light, flower well and quickly. 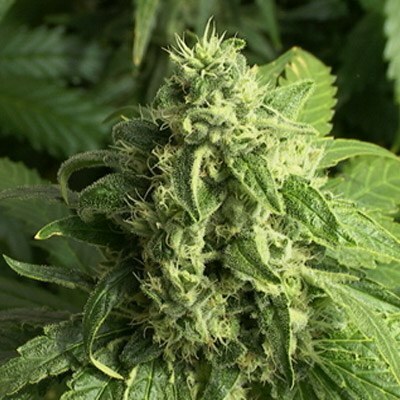 The seeds are in strong demand, and we have limited supplies due to the fact we only have one patch that produces seeds that will succeed in low light. We don’t have any other patches planned, so supplies will remain limited for many years. My shade bud grew well in the dark corners like they advertised. It was nice feeling growing right between my shed in the privacy of my own back yard. The smell was not really noticable during flowering which was nice because my neighbours house is only a fews feet apart and they had no heads up to what I was growing. I order this in my shop only as a special request for customers. So far they are happy with your product. It’s being grown in highly populated urban areas in Ney York City in between tall buildings and object on the ground and on rooftops. These grew in a 14 cm space between two buildings.